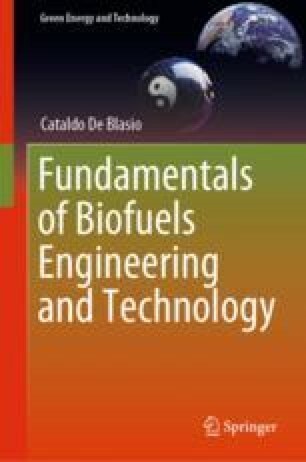 In this chapter, the production processes of bioethanol from diverse sources are described with some attention on the pretreatment of the raw material available. The production of bioethanol from sugarcane is described following the main production steps and some data are given on the process conditions and operations without going into the theoretical details for each of these operations. The case of corn starch is considered along with the main pretreatment options, such as dry-grind, dry-milling, and wet-milling processes. After the schematic presentation of a dry- and wet-milling ethanol production plant, the chapter ends with the basic notions of distillation as a final stage for the biofuel product. Creativity is strictly a human characteristics and it belongs to the neocortical component. Innovation is a man’s advantage to be able to make new technological developments and uses the creativity. Rita Levi Montalcini, Nobel laureate in medicine, an interview in 2009 for her first 100 years. Kumar, D., & Singh, V. (2016). Dry-grind processing using amylase corn and superior yeast to reduce the exogenous enzyme requirements in bioethanol production. Biotechnology for Biofuels, 9. https://doi.org/10.1186/s13068-016-0648-1. Onwuakor Chijioke, E., Hans-Anukam Uzunma., & Uzokwe Munachi, J. (2017). Production of ethanol and biomass from rice husk using cultures of Aspergillus flavus, Aspergillus eamarii and Saccharomyces cerevisiae. American Journal of Microbiological Research, 5, 86–90. https://doi.org/10.12691/ajmr-5-4-3. Sutjahjo, D. H. (2018). The characteristics of bioethanol fuel made of vegetable raw materials. In Materials science and engineering. IOP Publishing. https://doi.org/10.1088/1757.899X/296/1/012019.